Orchards provide both habitat and food for wildlife and, hopefully, a scrumptious crop of fruit. 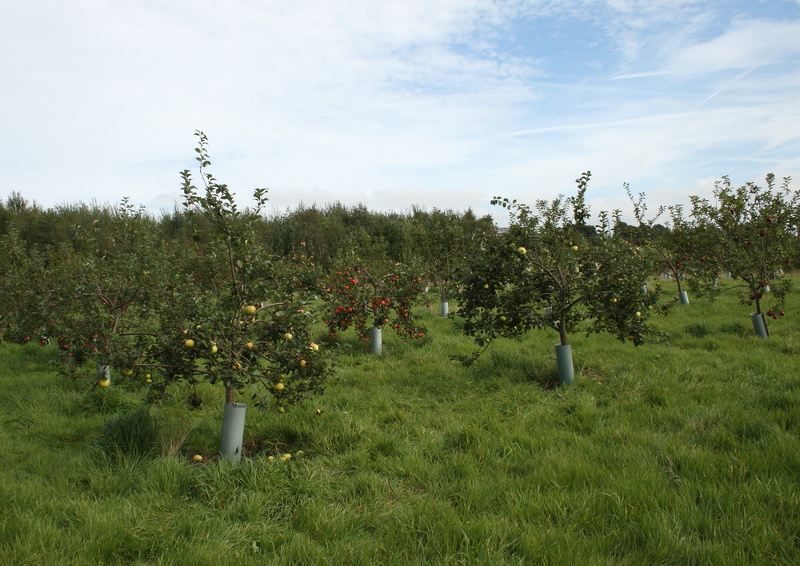 In 2005 plans were laid to create a heritage orchard using old varieties of dessert and culinary apples. 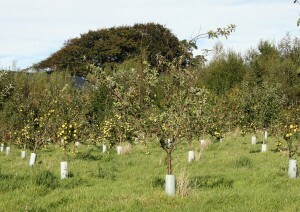 The ground was prepared and our first fruit trees were planted at Gorse Hill Nature Reserve in January 2006. 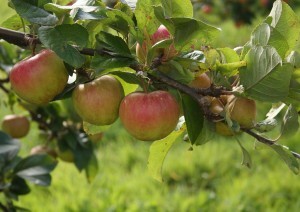 We had our first harvest in 2008. 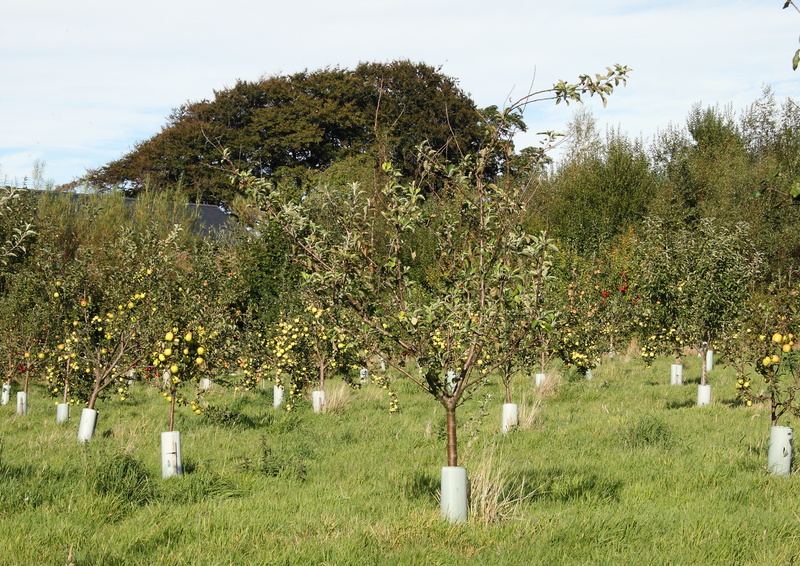 Since then we have planted more trees year on year, including a few plum and pear trees and we now have over 100 fruit trees. 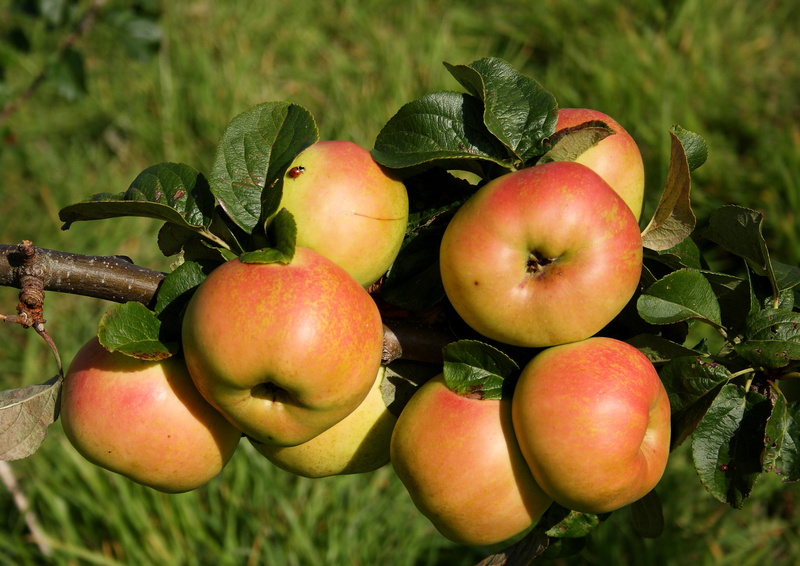 Some apple varieties are over 300 years old, such as ‘Ribston Pippin’ and some others are over 200 years old for example ‘Bramley Seedling’ and ‘Keswick Codlin’. 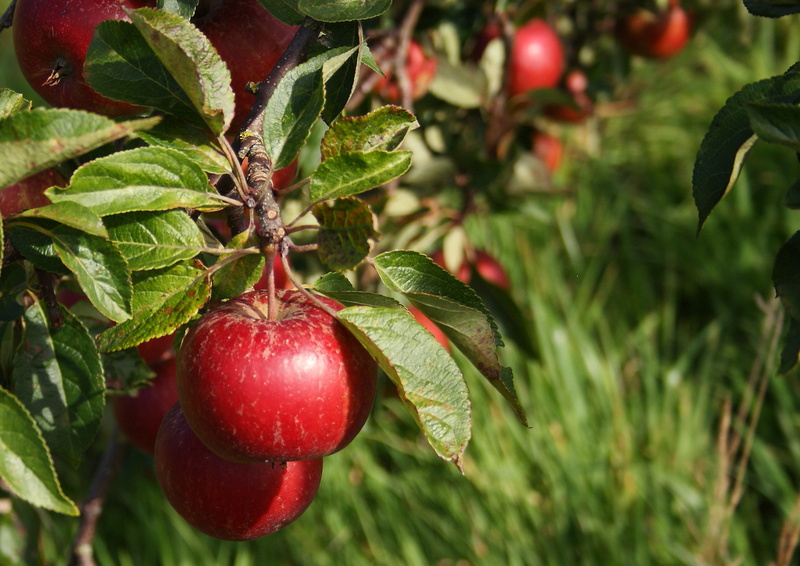 We have 31 varieties of apples (this includes two types of root stock for the variety Rosemary Russet), 14 culinary and 17 dessert, four varieties of plum and one pear variety. 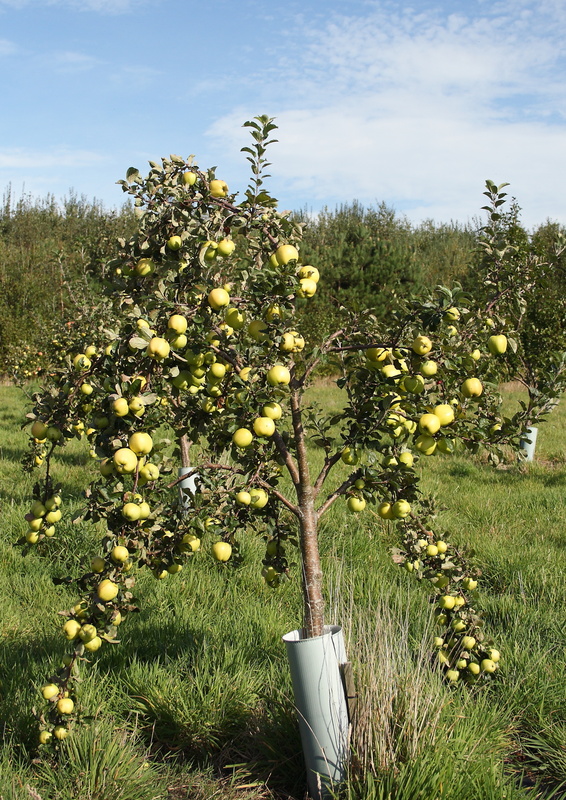 Forty Shilling is one of our latest dessert apples to be planted, fruiting in 2014. 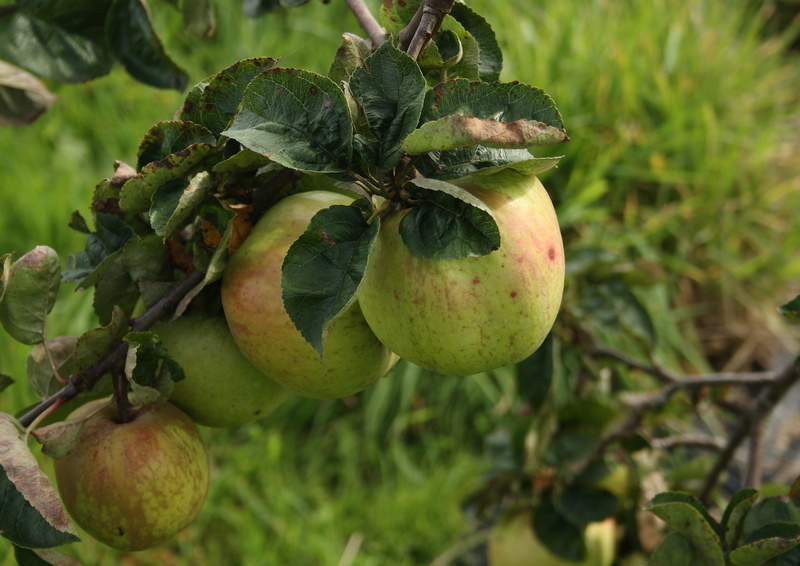 It is a variety from Cumberland/Westmorland possibly originating in Thirsby near Carlisle and said to be in existence before 1800. 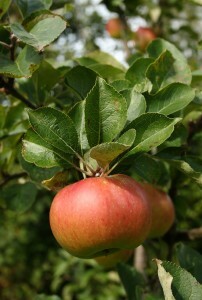 Worcester Permain is a dessert apple raised by Mr Hale, St John’s, Worcester in 1873 and introduced to St John’s nursery the following year. It was the main early commercial variety in England. 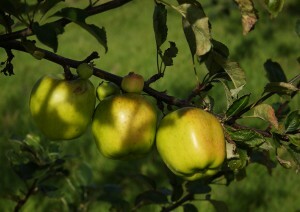 Discovery and Lord Lambourne are its progeny. The Lord Lambourne dessert apple was introduced in 1907 in Bedfordshire and is a cross between Worcester Permain and James Grieve. Discovery is a cross between Worcester Permain and Beauty of Bath. 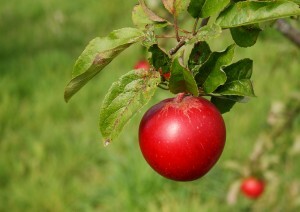 This dessert apple was raised by Mr Drummer of Lanham, Essex in 1949. Katy is a cross between James Grieve and Worcester Permain raised in Sweden in the early 1900s. One of the best early/mid season dessert apples. Ellison’s Orange dessert apple is believed to be a cross between Cox’s Orange Pippin and an old French variety. 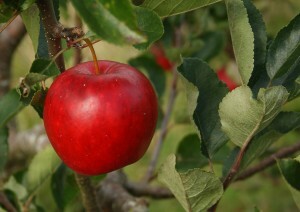 Raised by Rev Ellison in Lincolnshire in 1904. 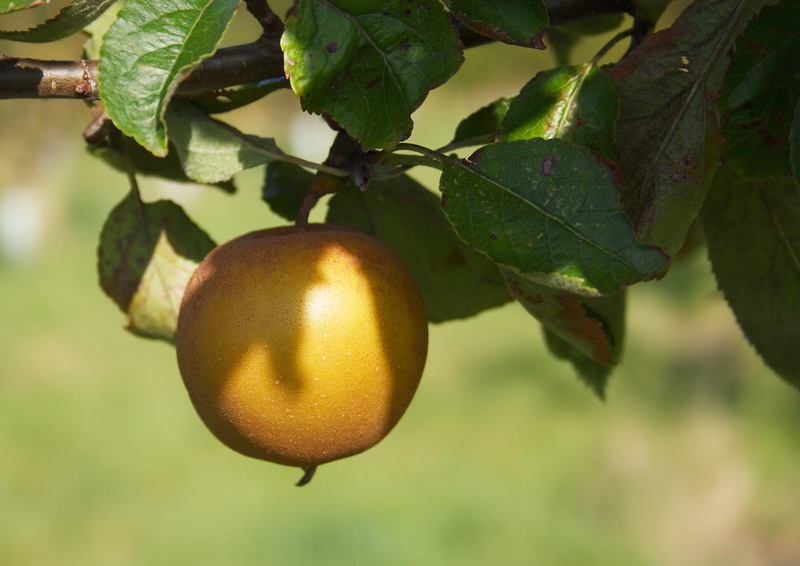 A distinct nutty flavour, Egremont Russet is a dessert apple from Merriott, Somerset in 1872. We have two different root stock varieties of Rosemary Russet dessert apple. 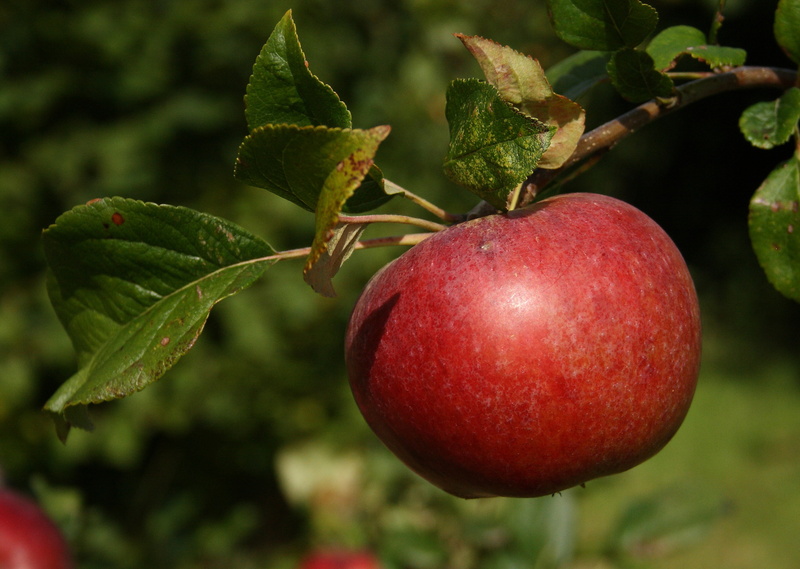 This apple is suitable in the wetter regions of Britain and was raised in Middlesex in 1831. 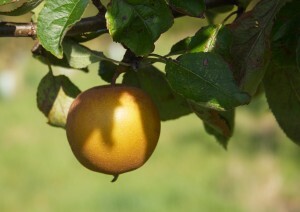 Raised in Kent in 1918 from Cox’s Orange Pippin, Sunset was named and introduced in 1933. 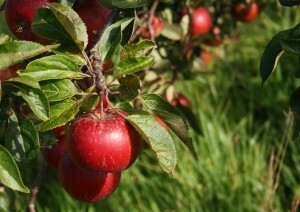 A dessert apple but also known to make strong, sweet cider! 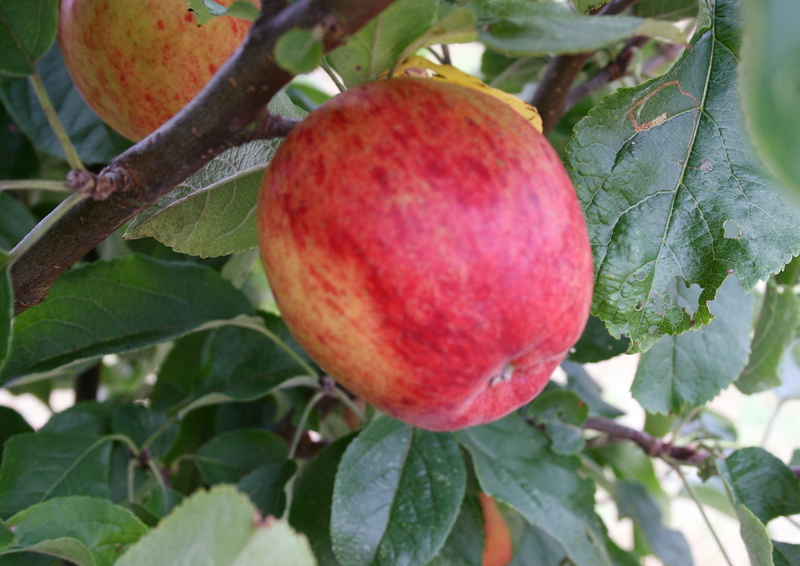 Irish Peach is another dessert variety in the orchard but it failed to fruit in 2013 and 2014. 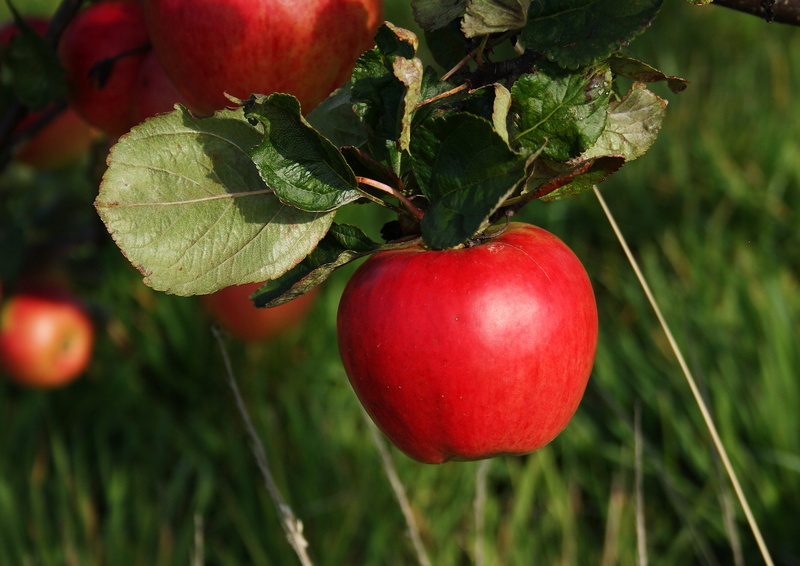 This apple was introduced in Ireland in early 1800s, it is a very early variety and needs to be eaten fresh as it will not keep. 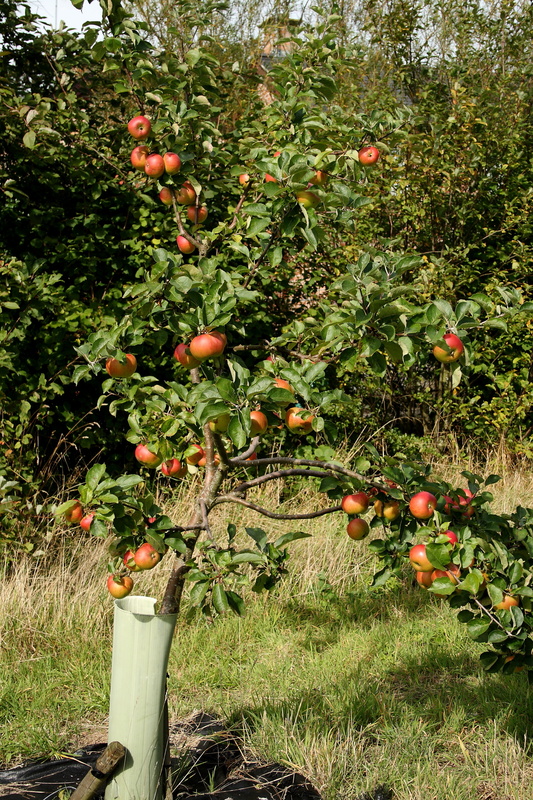 Our tree did produce a couple of apples in 2015. 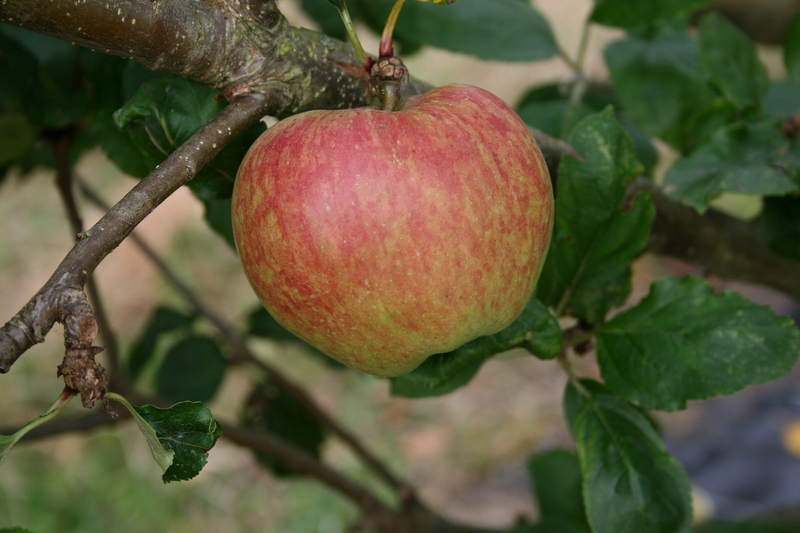 Lady Sudeley is a dessert apple and was raised in Kent in 1849. Ribston Pippin is a dessert apple first planted in early 1700s and was named after Ribston Hall in North Yorkshire. It was originally brought from France and thought to be one of the parents of Cox’s Orange Pippin. 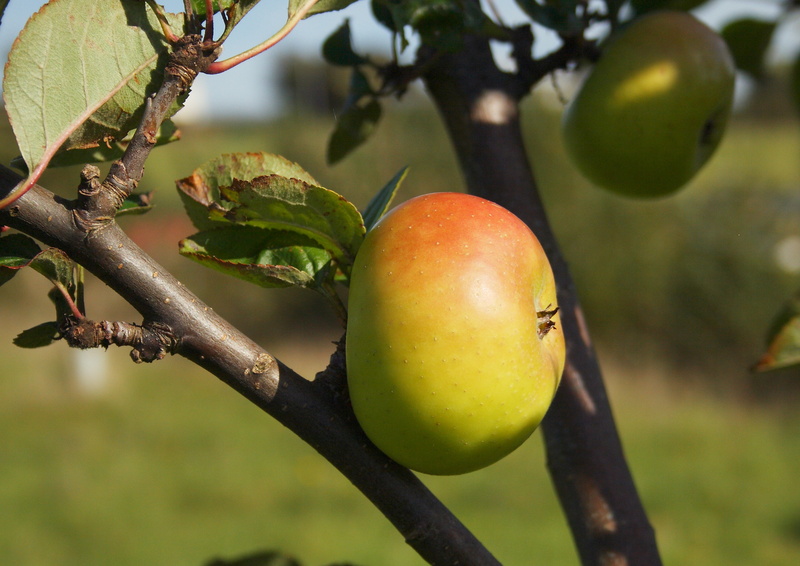 This is considered a dessert apple but King of the Pippins can also be used as a culinary apple as it keeps its shape when cooked. 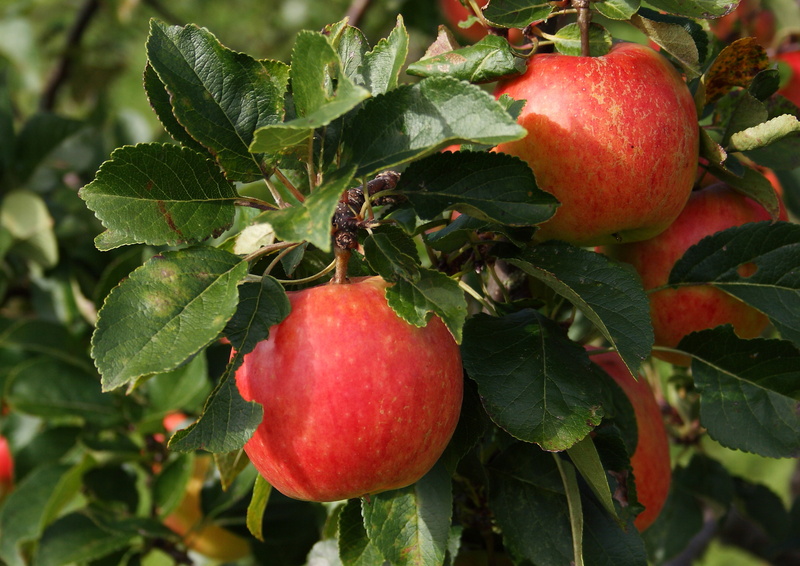 It was first recorded in London in 1800. 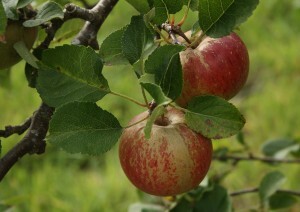 Galloway Pippin is an old Scottish dual purpose apple first noticed in 1871 but believed to be much older. Best used as a cooking apple but can be eaten as a dessert apple if you like apples to be quite sharp. A prolific cropper, Lord Derby was raised in Cheshire in 1862. It is considered a cooking apple but also good as a dessert apple. 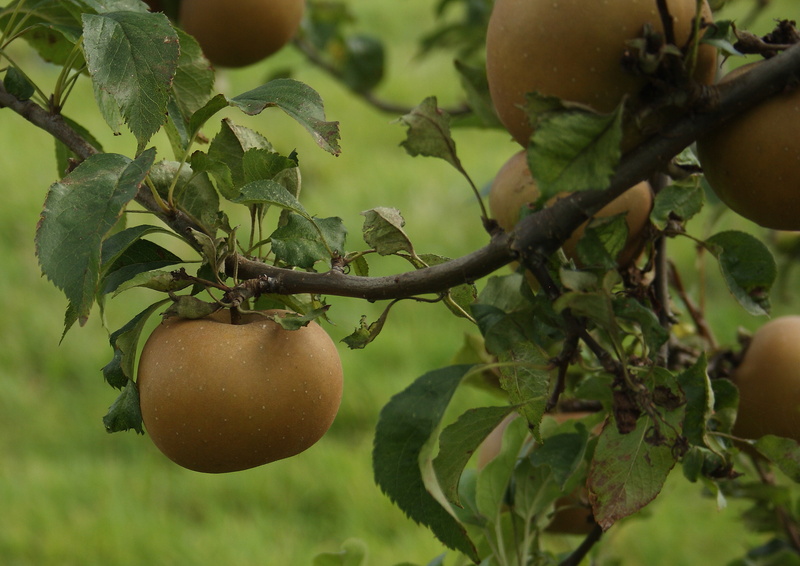 Wheeler’s Russet is another dual dessert and culinary apple, raised in Gloucester in 1717, a sweet flavoured apple. Monarch is a cross between Peasgood Nonsuch and Dumelow’s Seedling. 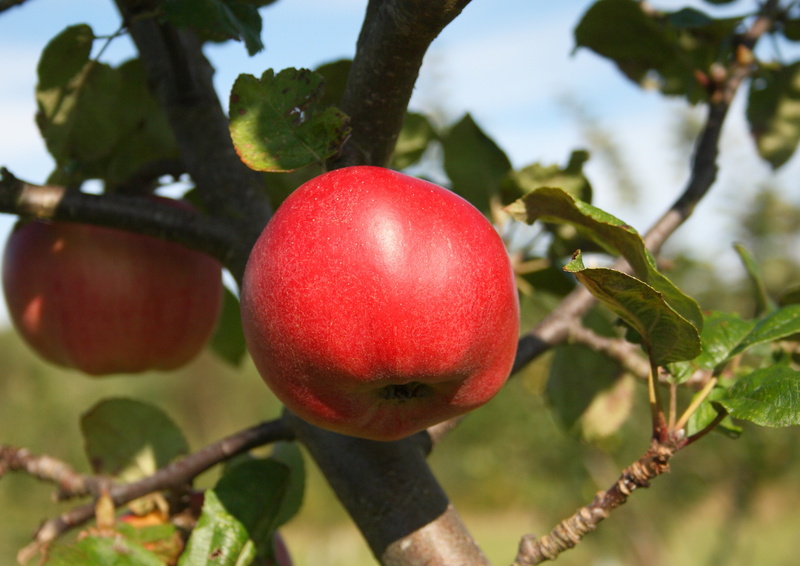 This culinary apple was raised in Essex in 1880. 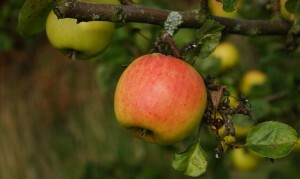 Lady of Wemyss is a large culinary apple raised in Scotland in 1831. 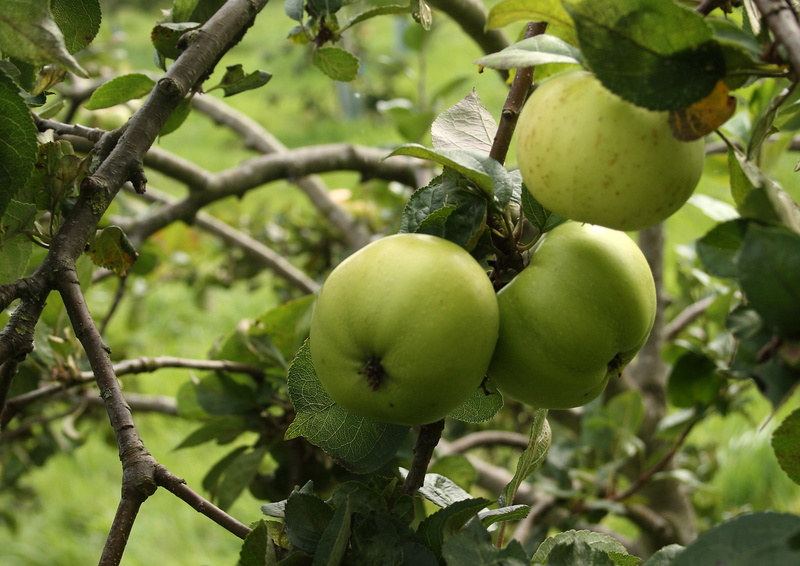 The first Keswick Codlin tree was found in 1793 in a rubbish heap near Gleaston Castle, Ulverston and made popular by a Keswick nurseryman. 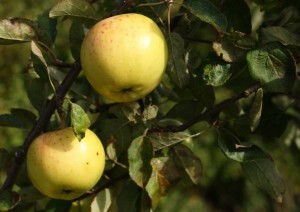 It was very popular in Victorian times as it was the first cooking apple of the season. 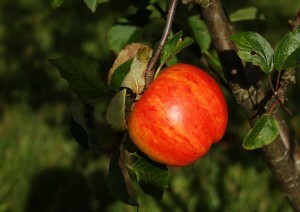 Isaac Newton is another culinary apple tree in our orchard but has not fruited in 2013. 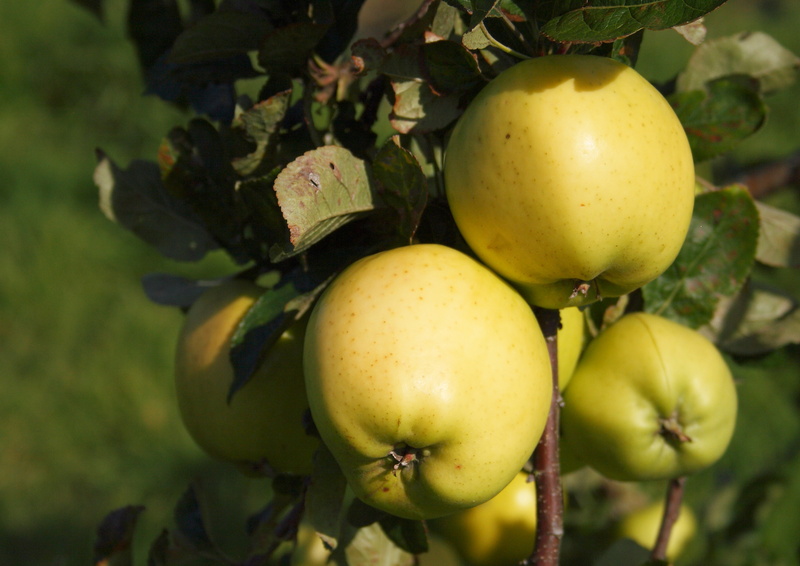 We could not resist the name of this variety. Isaac Newton is said to have formed his gravity theory whilst sitting under an apple tree in his garden at Woolsthorpe Manor in Lincolnshire in 1666. 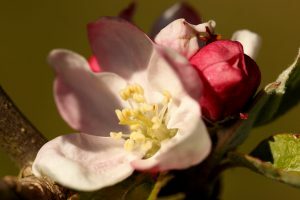 There was only one apple tree in that garden at that time and it was identified as a very old English variety called Flower of Kent, first recorded in 1629. The tree is reported to still be alive. 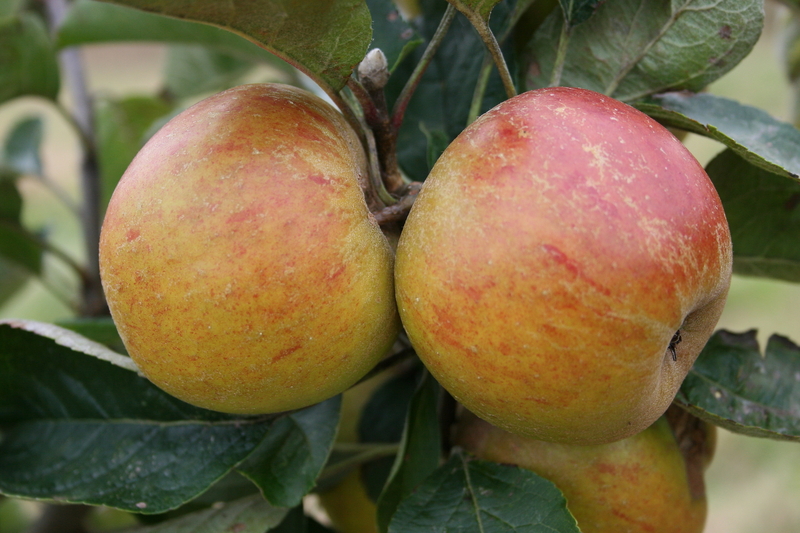 A very large cooking apple, Howgate Wonder is a cross between Newton Wonder and Blenheim Orange, raised in Howgate Lane, Bembridge, Isle of Wight in 1915. 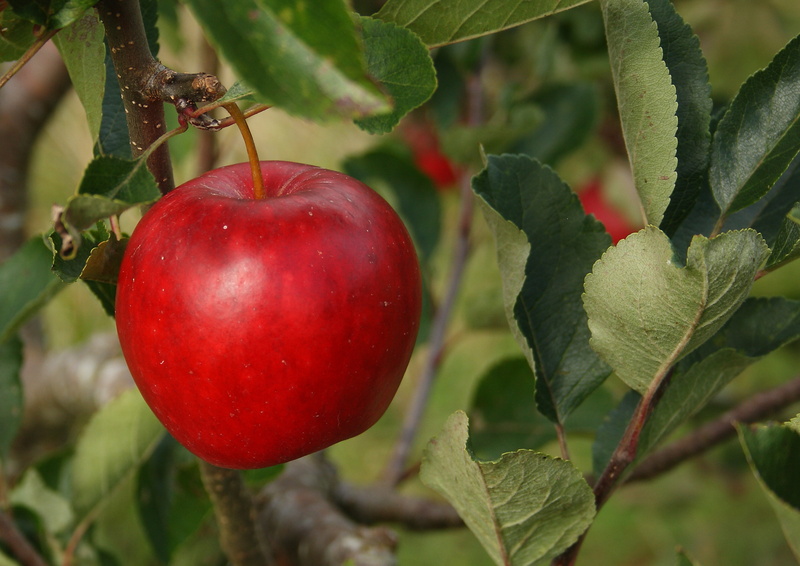 A culinary apple, Grenadier was first recorded in 1862. It cooks to a creamy white puree. 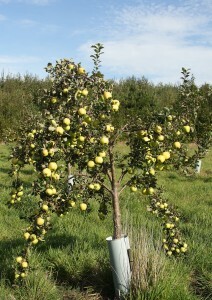 Golden Spire is one of the first trees to blossom. This culinary apple was raised in Lancashire in 1850s. 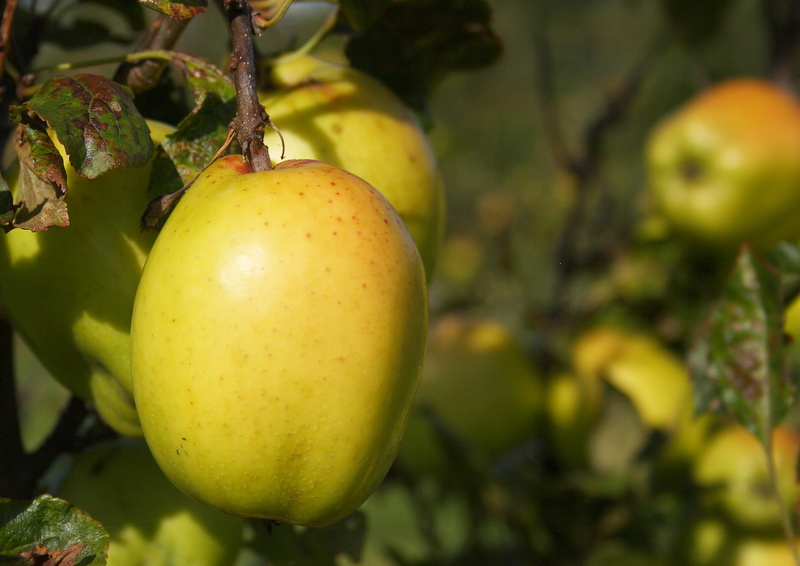 The Carlisle Codlin culinary apple was widely grown in Victorian England. 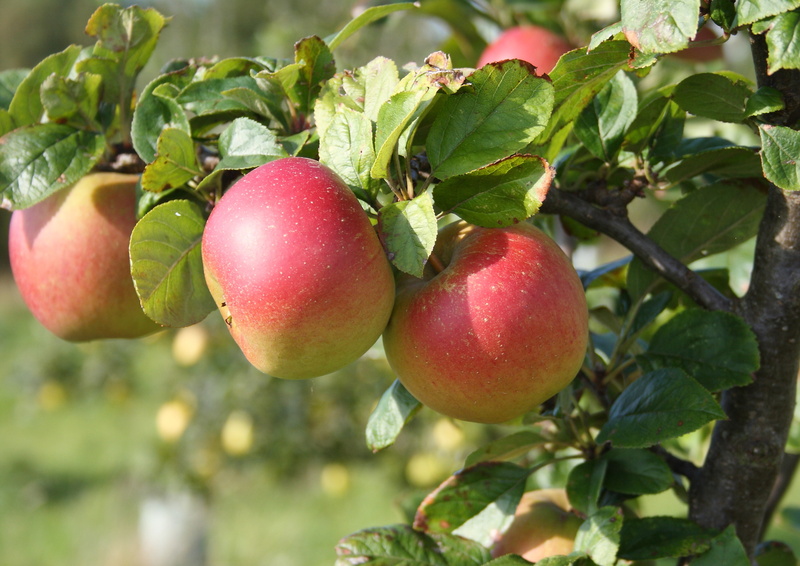 The earliest reference to this variety is in Cumberland in 1830. In 1809 in Nottingham a young girl called Mary Ann Brailsford grew an apple tree from a pip. 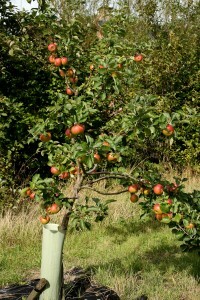 The house, together with the tree was sold to Matthew Bramley who allowed cuttings to be taken from his Bramley Seedling tree. The original tree is said to still exist. 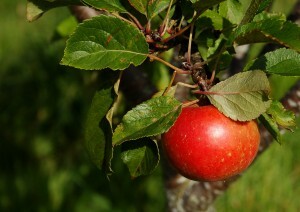 A good apple for cooking, juicing and cider. Arthur Turner is a culinary apple raised by Charles Turner of Slough in early 1900s. A good baking apple. Yorskshire Aromatic is another culinary apple. Picked mid September will keep until December. Mere de Menage was raised in 1700s. It cooks to a sweet puree. It is picked early October and can keep through until February. Another new apple variety to our orchard is Manx Codlin. First raised by Mr Kewley at Ballanard, Isle of Man in 1815. 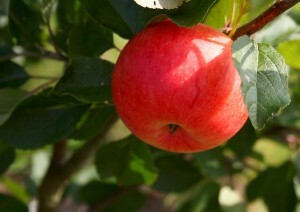 It fruits early and ready to pick at the beginning of August. 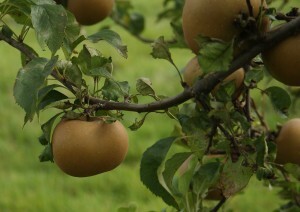 We have one variety of pear tree called Maggie and four varieties of plums: Czar, Marjorie’s Seedling, Victoria and Opal.